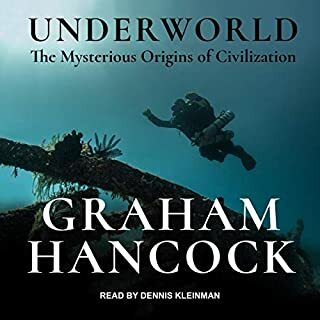 Pulling together the myths, legends and stories handed down from generation to generation, all around the world, Graham Hancock presents his own, unique interpretation of history in this fascinating audiobook. 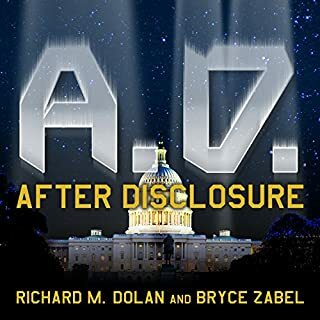 Fingerprints of the Gods is the revolutionary rewrite of history that has persuaded millions of listeners throughout the world to change their preconceptions about the history behind modern society. An intellectual detective story, this unique history audiobook directs probing questions at orthodox history, presenting disturbing new evidence that historians have tried - but failed - to explain. 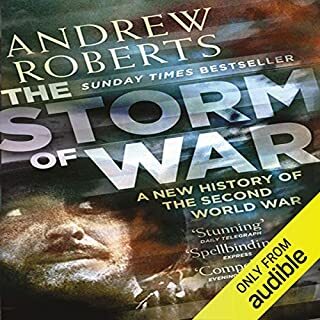 Where to start, raises some interesting historical points but the whole book is case of painting a bullseye around where he's thrown his dart of research. The delivery is compelling but too many times I had to pause the narrative in order to stare into the distance at how easy he grouped events/ideas together merely because the facts didn't prove it wrong. If I hear 'Is it unreasonable to assume' one more time I might cry, the thoughts have no critical assessment and it ruins the basis of some interest points. I would recommend this if you're into a fiction based losely on facts. I have followed Grahams work for about a year now, mainly on Youtube but the level of detail in the books goes far beyond a two hour presentation. 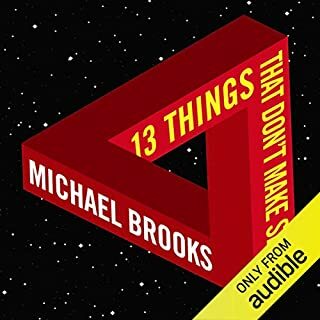 I bought a physical copy of this book too but was struggling to get through it, this audiobook, however, is much easier to follow. 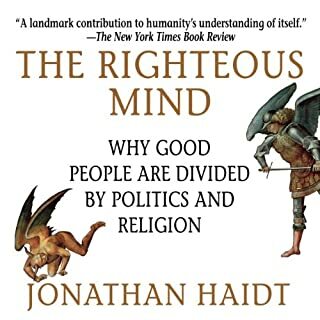 I read this book about 10 years ago and it channel the way I think about history. 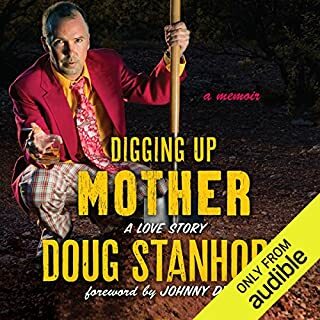 it was great to listen to it again being narrated by the author. Loved it all! Graham takes you on an anthropological journey that charts the history of human kinds evolution. 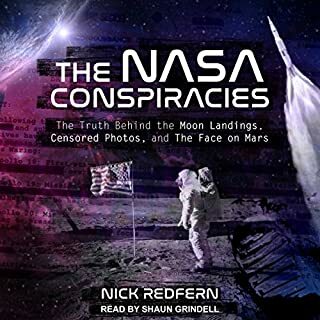 Utterly fascinating and thought provoking. 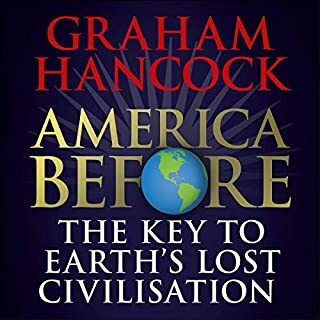 Firstly I have to say that Graham Hancock is an excellent narrator. His tone and delivery are perfect for this material. I was put off by the talk of crustal displacement very early on, but I persevered and listened through to the end. I agree with Hancock that the giant-stone architecture of the Giza necropolis and that seen in central/south America ask questions of their origin. I was particularly impressed by the possible linkage of the precession ages: Bull, Ram, Fish to religious symbolism of that era. Obviously the Sphinx is a Lion and its link to the age of Leo points to its incredible age. The key problem is exactly as his quitting researcher stated; where is the land mass where this pre-history civilisation developed? He rules out any now-submerged area and claims that Antarctica is the answer. Hmmmmmmm. As a biologist I wonder about penguins and where they bred before Antarctica moved into position less than 20 000 year ago. Surely ice core data from the South pole would show seasonal-bands of hundred of thousands of years? A 30 degree shift in both Arctic and Antarctic regions in a geologic heartbeat and no one else has noticed? Hmmmmmmmmmm. Well at least he has a proper hypothesis we can test; the discovery of a megalith city on the Antarctic continent, perhaps with tools and instruments of complex alloys would certainly put the cat amongst the pigeons. It would be great if it was true, another century or so and I am sure humanity will get this sorted out. One question bugged me, surely any advanced civilisation would have worked out the heliocentric nature of our solar system? You can measure precession without knowing anything of heliocentrism. How come heliocentrism was not passed down at all in the myth-stories? All food for thought, it is a pity that orthodox historians seem so dismissive, surely the response is to go look, not just ignore the question. Recommended. If you looking for something that is mysterious and thought provoking then you'll love this. A great read for those who have a notion that there must be more to know about our past on the earth. Graham brings together many facts, theories and research which paint an alternative view of prehistory when combined. Nothing wacky or far fetched, more a focus on the new, overlooked and unwelcome evidence that misfits the established and accepted view of events in pre-history. It may be a sound set of theories or possibly flawed in various areas, for my money it represents a more believable and logical depiction of our past than we have in our history books. Eye opening. Very well researched and beautifully written. Completely opened my mind to new historical possibilities!!! Highly recommend!!! I loved every moment of this book! 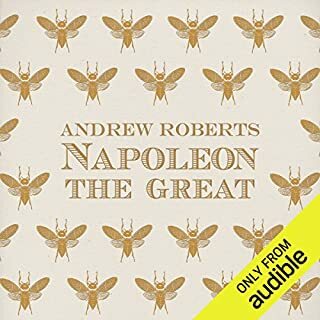 If you're interested in ancient civilizations you should listen to this book. Hancock presents fascinating theories supported by sound research and clear conclusions. He also does and excellent narrarion. 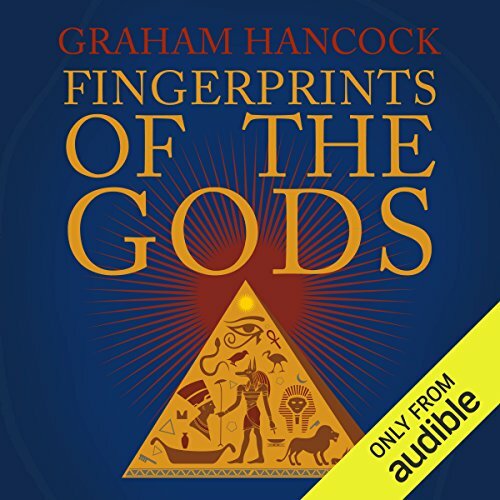 Graham Hancock did a wonderful job narrating his 1995 book Fingerprint of the Gods. 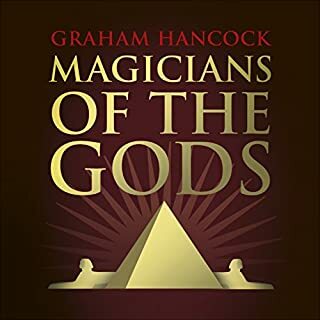 I started this series with book 2, Magicians of the Gods, 2015, and it is interesting to see how much fine tuning Graham Hancock did in the 20 year span between the two related books. 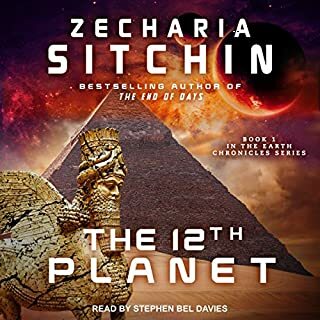 And, they are two entirely different books, with Magicians of the Gods focusing on a very significant geological event and its effect on humans and human's knowledge of their own history. Fingerprints of the Gods is an excellent introduction and foundation into the research going beyond the public narrative of mainstream academia and what is taught in public schools. Humanity's history, and earth's history is far more interesting than what is taught. This book was pretty serious in parts, and I had to divert to a couple of other books in the meantime before returning to complete it. 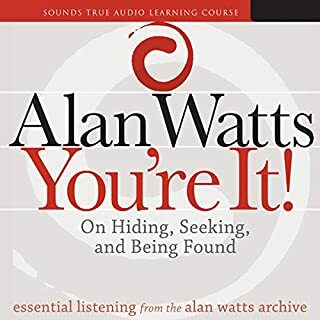 I've mulled over what I have learned in this book, and see how it fit with the two David Wilcock books read in the meantime. 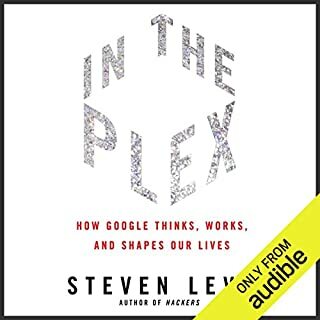 There is so much connection between their work - both authors are "big picture" oriented. 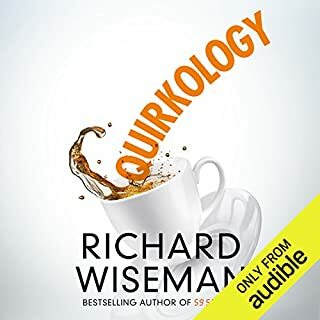 David Wilcock even refers to Graham Hancock's work within his books too. The third book of this trilogy will be coming later this year (2016) and I am looking forward to reading (listening) to that. Finally finished it.. 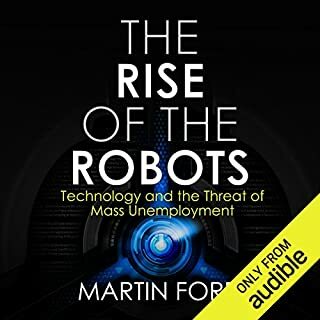 I'm not very good at reading, I don't give myself time to do it but with the audiobook was very easy for me. Loved it. I would recommend to everyone who wants to open his/her mind to a different reality, different history. Understanding it will give you enough arguments to feel you finally understand the world and civilizations. Very interesting and makes a lot of sense. A lot of math presented;but,other than that it kept me engaged. 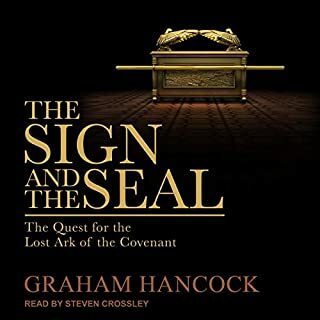 Graham Hancock confronts us with a most utterly skilfull narration of the ancient history underlying the most enigmatic archaeological monuments known to mankind, such as the majestic pyramids and the leonine Sphinx that adorn the now barren desert landscape of the Giza plateau. His insightful and daring hypotheses are perversely bold. 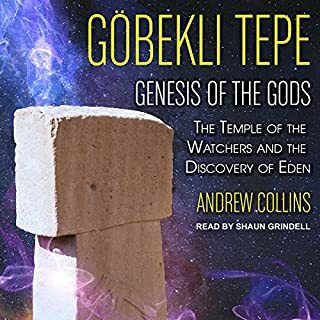 Is it a coincidence that this book is both perversely engaging whilst conveying, nonetheless, the grandeur of the ancients with the dual fascination of both scientific mathematical exactness and the magical mysticism of legend and myth? Alas, it is not. The calendric precision of a great vanished civilization is provocative beyond measure, to say the least. Graham Hancock comes across as a demigod, a direct heir of the wisdom cult of the Viracocha, who by means of sacred geometry and long-forgotten technological advancements, hidden beneath the imposing and impenetrable ice layers of the lost continent of Antarctica, transcended the challenges of global bituminous cataclysms through countless epochs. His account of the heroic feats by Thoth, Quetzalcoatl, and other bearers of great knowledge, are masterfully composed to evoke a grappling sense of urgency upon the world to initiate itself out from uniformitarian rigidities and into the new astrological calendric Era of Aquarius before catastrophe befalls our world engulfing it in the flames of the End Times. 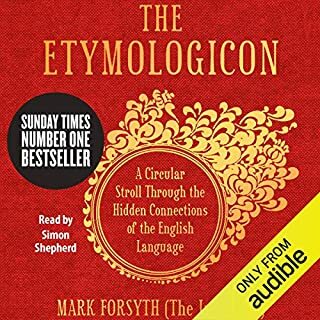 I could listen to Graham read the dictionary and the way he writes just captures you and keeps you locked in. love everything this about it!! Great presentation on theories of origins of various prehistoric structures. The pyramids of Egypt, Cities of South and Central America and other sites are discussed and similarities in legends from geographically diverse populations are presented. I found that Hancock did very well at citing his references for the work he borrowed from other researchers. The book was refreshing to hear there may be insights to ancient histories that our society is unaware of. Keep up the great work. There are many Discoverys being Surprised by mainstream Science, that would rewrite history. Fingerprints of the Gods is a brilliant book of things They don't want you to know. really makes you think about our true history on this planet. be ready to question a lot of what you think you know from high school history.